During the last weeks I received a lot of messages asking about a possible TITAN X vmod. Here is a simple solution for the enthusiast overclockers out there. Also be aware that the Titan X VRMs are not the best and get really hot. Insufficient cooling will reduce the life span of the VRMs or kill them in worst case. The mod is very simple and only takes few minutes. The cool thing is that you can also return the card back to stock within few minutes if required. The blue area is the place where you can find the resistor to mod. There is a small SMD resistor next to the VRM Controller which is responsible for the GPU-Voltage. The resistance is linked to the GPU voltage. The stock resistance is 7.30 kOhm and a lower resistance will result in a higher GPU voltage. Of course you could just replace this resistor with another 0402 SMD e.g. using 6.8 kOhm but this is quite risky and not easy to solder. Instead you can just use a pencil or silver conductive paint to overvolt the GPU. Graphite inside the pencil is electrically conductive and a small layer will lower the resistance. I strongly recommend to measure the resistance with a multimeter and also measure the GPU Voltage on load after modding the card. Otherwise you won’t be able to tell the difference as the pencil is quite inaccurate. I tried it myself and after a few times using the pencil the resistance dropped to 7.10 kOhm (stock value is 7.30 kOhm) and the GPU Voltage went from 1.150 to 1.170 Volt. I’m pretty sure using CLU will give you a resistance of around 0 ohms. That’s OK in the power mod because those are shunt resistors and those are really really low resistance however here a drop from 7300 ohms to say 5000 ohms will give you 1.7V. To drop from 7.3K to 3.65K you would need to add another 7.3K ohm resistor CLU is much much less than that so it will insta kill your card. So no do not use CLU to do this mod. BTW der8auer this mod will work the same for all GPUs with this PCB right? you just need to use a different resistance. That’s no choke that’s a ceramic capacitor. Ofc there are several places to measure the voltage but behind the GPU is most accurate 🙂 There will be some vDrop from Inductor to GPU. Hello – great article !! looking foward to 1700mhz + on core if this works . 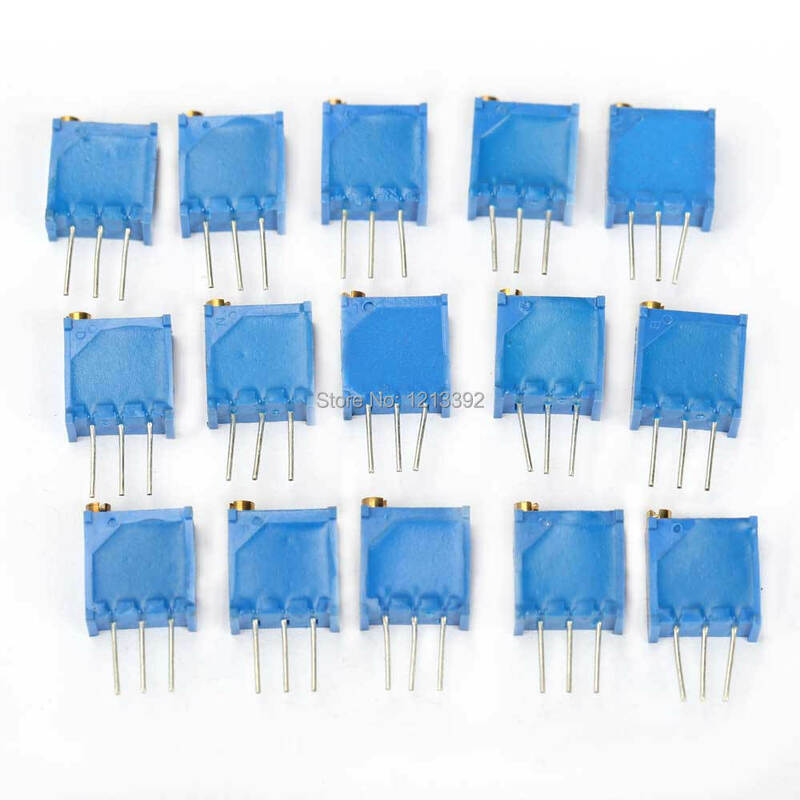 1 question : Can a 20k VR connected to either end of the smd resistor be used to bridge and lower overall resistance rather than a pencil to lower the resistance . I’ll be sticking a WB over the top of that controller area and won’t be able to use a pencil then. Sure you Can do that. A 10kOhm VR parallel to the SMD resistor will work. Lower resistance will increase the voltage. That would be a normal vmod. Very nice . But not include power card? Do you have any info on pencil mod for GTX970 memory? It would be really cool to test such stuff, since there’s no way to chage mem voltage with software. Id like to see also pencil mod for GTX970, even tough not for memory but gpu. Hey. Finally got my waterblocks in so I’m ready to do the mod. However as someone mentioned above, I’d like to bypass the pencil portion and go straight for a parallel resistor. So I had a few questions I was hoping you could answer. And I’m sure there will be others who could benefit from them! 1) From my calculations, adding a 50 kOhm resister would drop the resistance to about 6370 Ohm. Is that correct? 2) Someone mentioned 6.52 kOhm would result in 1.367v for 3D. So with the 50 kOhm resister that should mean around 1.4v? 3) How does this affect card voltage while idle? When it tries to clock down the card/voltage, what should I expect it to drop to? 4) Is the increased voltage just going to the GPU or will it help with memory OC as well? 5) And what would you say is too much voltage for a standard water cooled system designed for gaming (not benching)? I have a trilpe-radiator system with 6 industrial fans, dual pump, nanofluid, CLU, and even an active cooled backplate. But I’m wondering if doing this volt mod is going to mean unmanageable heat. Didn’t test it myself but sounds about right. The mod results in an offset voltage. So a 100 mV offset will be present in load and idle. The reference design is not made for high current so at a certain point the increased power consumption will be a problem for the VRMs. However, using a full-cover-waterblock you can kinda compensate this. Just make sure that you check the temperature of your VRMs under load after modding the card. I wouldn’t go above 1,45 Volt for daily usage. Thanks for the reply. A few more questions, if I may. All my hardware has arrived so I’m excited to get this mod done and share my results! 2) I am leaning towards just using a 50kOhm resistor and do a “set it and forget it” change as I hope to not touch it after I put on the water block. Should I be using a 1/2 watt resistor for this? Or what do you recommend? 3) So let’s say hypothetically that I get +210mV offset with the resistor added. The card normally is 1012mV at idle. The card will now idle at 1222mV. Correct so far? Now, the card normally requires 1220mV for 1450MHz. So since the card is already at 1222mV with the offset, whether it’s at stock clock, or at 1450MHz, it’ll still stay at 1222mV? Is there an easier spot to measure voltage? I am trying to attach a lead to the spot in the guide so I can measure with a backplate installed. I’m not having any luck with my soldering iron. I’ve tried up to 400 degrees and I’m afraid to push it more. Maybe I just need to be more aggressive with my iron. I don’t have a card near me to check at the moment :/ Do you have a picture of the back of the card? I might spot a vGPU point. I have a Zotac 980 TI AMP, and those are sort of likea Titan X right? The PCB layout looks very similar. I want to get to 1.35v, the pencil might be a good try. (my cards are on waterblock). Guess my question is … is the 980 TI refence cards same as the Titan X reference card when it comes to the power management portion of the card?? Any idea what the limit should be on the TX with ambient water? 1.35, 1.4? I have a couple of questions maybe someone can help me! What’s the difference between the pencil mod and a modded bios that says it increases the gpu voltage? And how long does the pencil last? Does it goes away with time? Thanks! There is a hardware limit that a bios cannot get around. The cards are hard limited to ~1.28v. The pencil should stay there forever unless something touches it. One thing to consider with a hard mod like the pencil mod is it affects both idle 2d and 3d modes. I have a 780GTX with an ACX cooler (EVGA), what are the temp safe limits, as I believe maxing out on air on the 780 comes close to the thermal throttling of the card anyways. This mod would essentially be worthless unless I add quite a bit more cooling to the card correct? i wonder is there a simple way to mod voltage on GPU using NCP 81174 like this guide on titan X ? Do you know the model of the memory PWM? hilf mir mal bitte gedanklich. Der Widerstand ist in diesem Fall einfach nur vorgesehen um den gemessenen Istwert der Vcore für den NCP zu skalieren (Reihenschaltung und Spannungsabfall..), also geht dieser als Eingang auf “VID” (Voltage ID) vom NCP!? durch das herabsetzen (Graphit oder regelbarer Widerstand parallel) fällt weniger Spannung ab, wodurch der Wert bzw. die Spannung für den NCP steigt und er eigentlich runterregeln müsste. Und da ist jetzt mein Gedankenproblem, geht der auf einen anderen Eingang? ist sehr schwer auf dem Bild zu erkennen. Ich erkenne die Reglung nicht. jxeklkxkypj,Quality blog, keep up the good work. You may check our website also! ljubcdfvdxz,If you are going for best contents like I do, just go to see this web page daily because it offers quality contents, thanks! khcmopgvbie,Quality blog, keep up the good work. You may check our website also! dmswrrlilei,Wonderful one thank you so much ! frlsraupev,If you have any struggle to download KineMaster for PC just visit this site. eduocuwgwz,If you are going for best contents like I do, just go to see this web page daily because it offers quality contents, thanks! rjrrderoya,Wonderful one thank you so much ! pvonli,Hi there, just wanted to say, I liked this article. It was helpful. Keep on posting! oylqkc Adidas Yeezy,Quality blog, keep up the good work. You may check our website also! Your style is so unique compared to other folks I’ve read stuff from. Thanks for posting when you have the opportunity, Guess I’ll just book mark this web site. zvqxdlaaq,Quality blog, keep up the good work. You may check our website also! giourxtgp,Thanks for sharing such an amazing blog. I am so happy found this informative blog. hlvqyapged,Very helpful and best artical information Thanks For sharing.